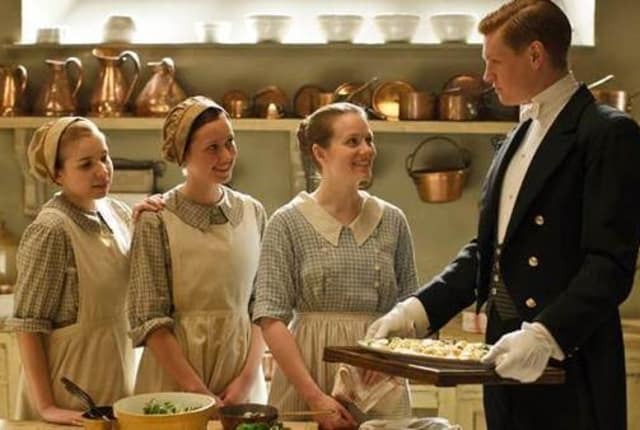 Watch Downton Abbey Season 4 Episode 4 online via TV Fanatic with over 6 options to watch the Downton Abbey S4E4 full episode. Affiliates with free and paid streaming include Amazon, iTunes, Vudu, Google Play, Amazon Prime, and Verizon On Demand. Can Bates learn what’s troubling Anna? Meanwhile, Thomas installs a new ally and Alfred takes up cooking. Daisy: But if it's electric, aren't you worried it's going to run away with itself and sew your fingers to the table? Baxter: I certainly hope not. Permalink: I certainly hope not. I wonder your halo doesn't grow heavy. It must be like wearing a tiara around the clock. Permalink: I wonder your halo doesn't grow heavy. It must be like wearing a tiara around the clock.